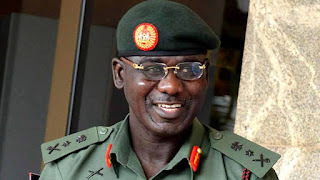 Precisely on February 9, 2019, conveners of the "Sardauna of Our Time Heroes Award" deemed Gen. Buratai worthy to be doubly honored with an iconic award from one of the foundations of the Sardauna. He was conferred with the prestigious award for “Good Governance and National Security.” To ice his cake of fame, Gen. Buratai was also honoured with a certificate for his outstanding contributions to the peace and security of Nigeria at the same event. This was a vision which defined the silent, but impactful life and times of Sir Ahmadu Bello. Conveners of the "Sardauna of Our Time Heroes Award," spotted Gen. Buratai as an offshoot of the Sardauna’s principles of leadership and convictions on Nigeria.